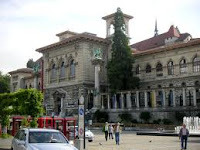 Candidates complete the "UNIL Master`s Grant" form and submit their application to the Office for socio-cultural affairs (SASC, Unicentre, University of Lausanne, CH-1015 Lausanne, [email protected]) by 15 December 2011 at the latest. The application is examined by the University Rectorate to determine whether the candidate is admissible. In the event of a positive decision, the application is forwarded by the SASC to the UNIL Faculty responsible for the Master`s on which the candidate wishes to be enrolled. The Faculty selects applications and notifies the SASC of its opinion based on the candidate`s qualities, motivation and suitability for the Master`s programme. The SASC forwards shortlisted applications to the selection committee which will award grants to students meeting all criteria according to the available budget. Demikianlah informasi mengenai 10 Master Scholarships at University of Lausanne semoga berguna bagi anda.